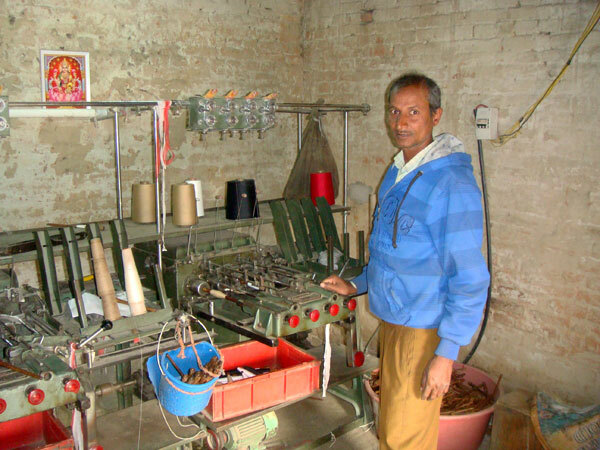 Our products are handmade in small fair trade factories in Kathmandu, Nepal. Our suppliers employ artisans who are skilled at Nepalese handicrafts that have been national traditions for over 2000 years. 100% handmade means that our products our handcrafted through every step of the production process: yarn is hand spun and hand died, rugs are hand knotted and hand loomed, and shawls are hand weaved. 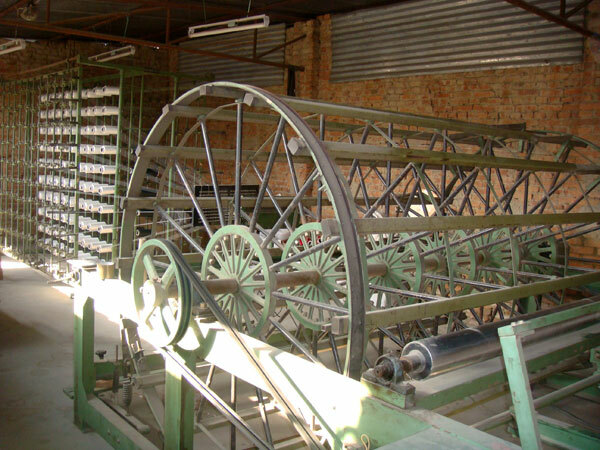 The screens for printing are hand made and separated, and the shawls are then hand screen-printed. You can see several photos of the product process to the right. 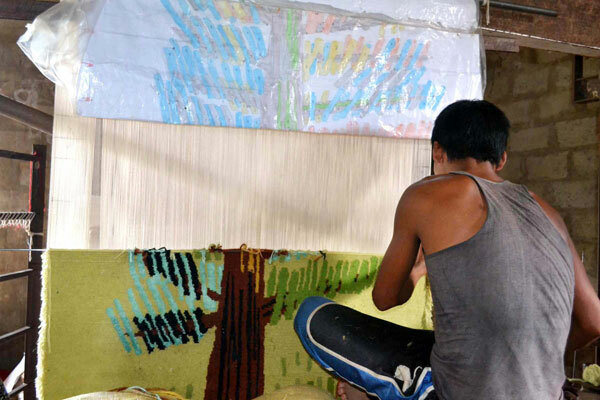 Our manufacturers are certified by Chyangra Pashmina, Good Weave and Care & Fair to provide workers with prompt and fair wages, working conditions that are safe, healthy and free of discrimination, and a commitment to never use child labor. 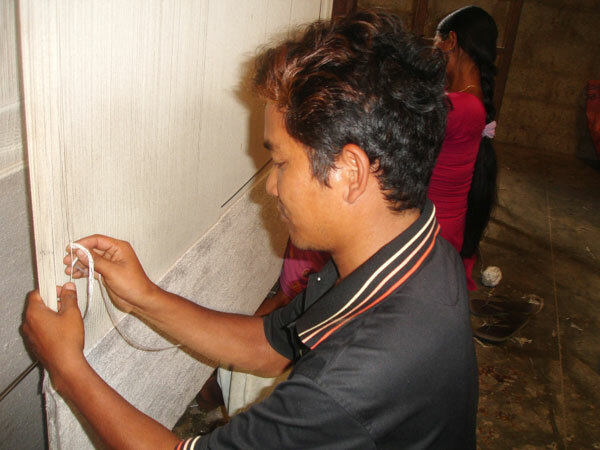 Fair trade also means that the materials we use are friendly to the environment. 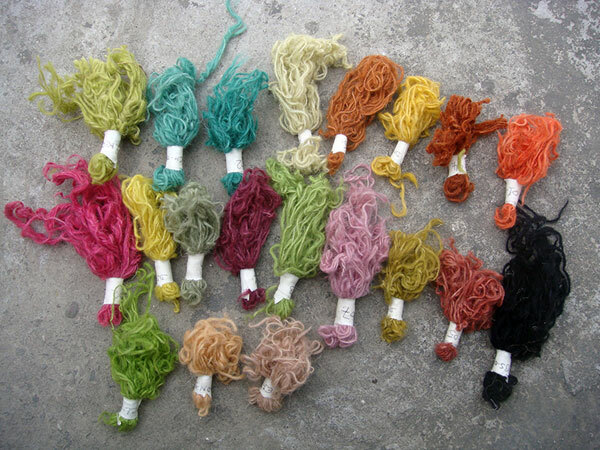 The dyes used for our products are Swiss-made and AZO free. Cats & Ghosts is authentically cross-cultural in all levels of production. Our founder and product designer is native to Nepal, and our Supplier Relations Specialist is also a native and lives in Kathmandu to effectively manage quality control on a regular basis. In fact, she tours the factory regularly and witnesses the artisans creating the handicrafts by hand. The pashmina wool for our cashmere scarves and handmade rugs is sourced from goats that live in the Himalayan Mountains. “Pashmina” is a type of fine cashmere wool that comes from a special breed of goat, indigenous to the high altitudes of the Himalayan Mountains. Many believe that Nepalese pashmina is of the highest quality due to the conditions that mountain goats have adapted to over centuries. In order to survive the harsh, cold climate, the mountain goats have developed exceptionally warm and light fiber that is six times finer than a human hair. 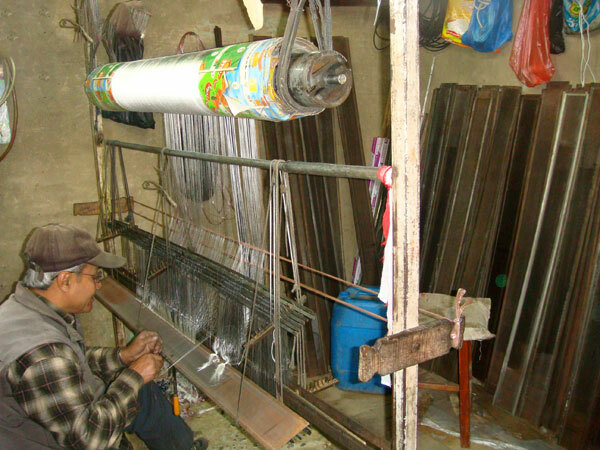 We work closely with our suppliers in Nepal to produce pashmina scarves, rugs and jewelry of the highest quality. Our scarves are a blend of cashmere pashmina and silk in order to add a light sheen to the fabric and prevent piling, but retain the softness and warmth of the fabric. The fabric is an open weave, which creates the lightest, finest cashmere possible. The screens for each pashmina design are handmade and a prototype is created for each new design before approved for production. A pashmina order takes several weeks so that each artisan can take the care needed to create final products of the highest quality and design. Our rugs are 60% wool, 40% silk. Each rug is hand loomed and knotted by an individual artisan, and this excellent craft making takes time: each rug takes four to ten weeks to make, depending on its size. Before production begins we send them our design and they send us a digital mockup. After this is approved, they then proceed to hand dye the wool and sent us samples for our approval and color matching. You can see an example of these samples below. We are proud of the quality and craftsmanship of our textiles and jewelry. 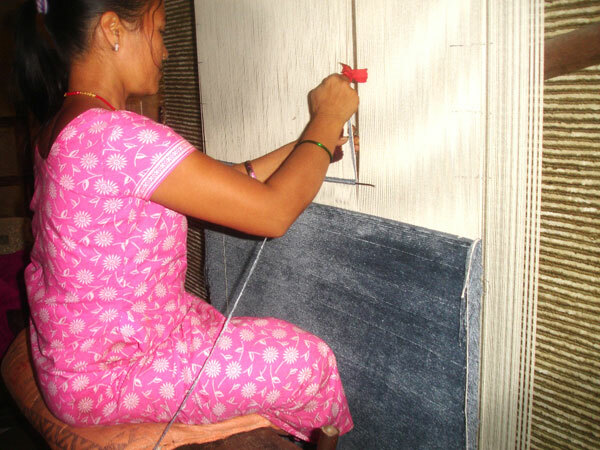 We are committed to offering you the best that the Nepalese artisans in Kathmandu can offer. We guarantee that each piece you receive from us will adhere to a high level of quality in terms of fabric and printing. This means that if anything does not meet your and our standards, we will replace it at no cost to you. Start working with us today by contacting us to learn more about carrying our pashmina scarves or rugs in your retail outlet. Call 855-861-5761 or email orders@catsandghosts.com. Or order online!